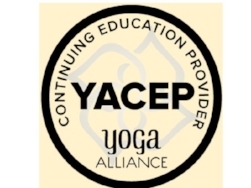 Are you a yoga teacher or health care provider who would like to bring trauma-sensitive yoga to a local Veterans’ Administration program or a similar institution? For inspiration, please read: Yoga: How We Serve: Give back Yoga Foundation. Watch a 3 minute Veteran testimonial on Yoga for Pain. A 10 minute video (click here) on the steps GreenTREE Yoga used to bring David Emerson’s trauma-sensitive program (The Trauma Justice Institute) to the Salt Lake City Veterans’ Administration. Contact Yael Calhoun at greentreeyoga@comcast.net or 801-656-7885 for the free link. Please use the materials we have developed for the pilot veterans’ trauma-sensitive program, materials which allowed us to develop and then to document the success of our program. Contact Yael with any questions -- I would love to help you in any way I can.